The AANN SCRN Review Course is used to assess whether or not a candidate is prepared for the Stroke Certified Registered Nurse (SCRN) examination. Use the SCRN Review Course to better understand your current knowledge as it applies to the certification and determine where additional studies are needed. The review course consists of 8 modules, which includes a course introduction, followed by comprehensive videos and interactive knowledge checks. Please note: The SCRN Review Course is not intended to replace studying for the credentialing of the examination. Your performance on the review course will not guarantee results on the actual SCRN examination. The review course consists of 8 modules (includes comprehensive videos and interactive knowledge checks). The review course is not required to sit for the SCRN certification examination. <?xml:namespace prefix = "o" ns = "urn:schemas-microsoft-com:office:office" />Expiration: The SCRN Review Course is a 1 year subscription and will begin from the date launched on the Learning Management System (LMS). Note: Purchase of the SCRN Review Course is intended for single person use by the person who purchased the course. ONCE THE REVIEW COURSE IS PURCHASED, NO REFUNDS WILL BE ISSUED. For information on purchasing the SCRN Review Course for your institution, please contact Melinda Briggs - mbriggs@aann.org. (Group discount starting at 10% off member rate). 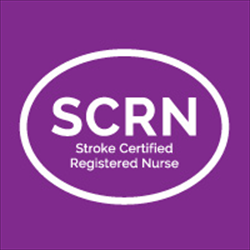 - Determine whether they’re prepared to take the Stroke Certified Registered Nurse (SCRN) examination. - Have a better understanding of current knowledge as it applies to the certification and determine where additional studies are needed. Absolutely horrible audio quality. For $280 the audio should have been professionally recorded. Do not recommend. You will be better off with other reviews as the audio is almost not even bearable to listen too. Excellent review. I passed the exam with the help of this review!!! !